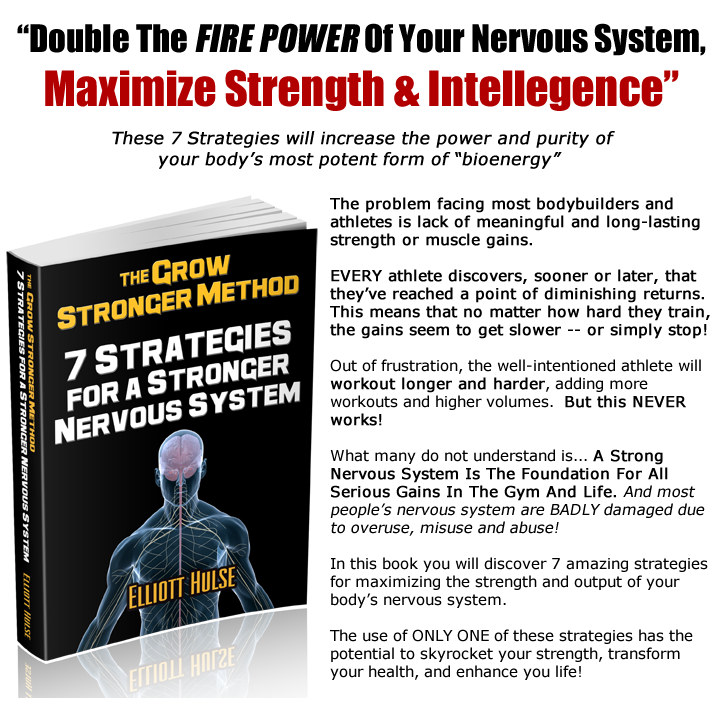 This book outlines many of my personal accounts and challenges in the search for optimal strength. 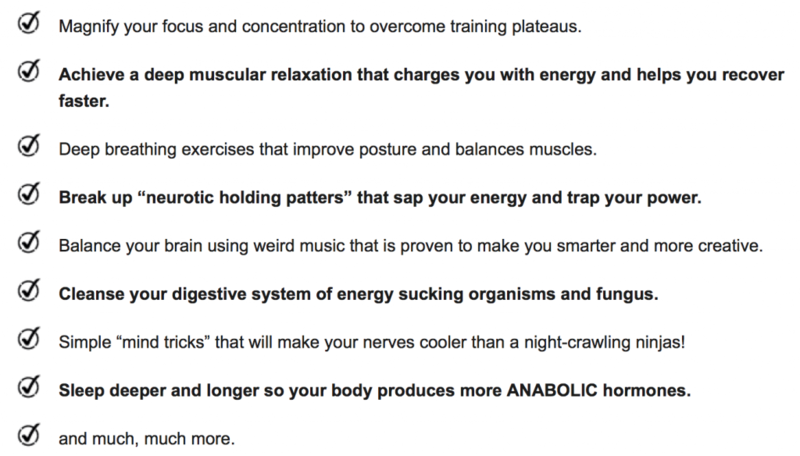 These 7 Strategies For A Stronger Nervous System have been hand picked by me, because I personally use them. I know that if you choose to take advantage of just a single technique in this book, your results, in the gym and life, will explode WAY past belief. — This is my PERSONAL guarantee! 60 Day Money Back Guarantee – Here is the bottom line. When I create a product, ALL of the responsibility is on my shoulders. If you don’t experience your desired results by using my product, simply e mail our support staff within 60 days of purchase and I will gladly refund 100% of your investment. I want you to Grow Stronger. So you need to feel confident that if you invest in my course it will give you the tools you need to achieve success. I stand behind this product and my promise 100% – so lets take action and grow stronger!